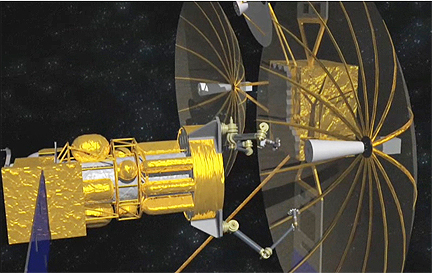 [SatNews] Innovators are now being sought for DARPA satellite servicing technology programs. More than $300 billion worth of satellites are estimated to be in the geosynchronous orbit (GEO—22,000 miles above the zEarth). Many of these satellites have been retired due to normal end of useful life, obsolescence or failure; yet many still have valuable components, such as antennas, that could last much longer than the life of the satellite. When satellites in GEO “retire,” they are put into a GEO disposal or “graveyard” orbit. That graveyard potentially holds tens to more than a hundred retired satellites that have components that could be repurposed – with the willing knowledge and sanction of the satellite’s owner. Today, DoD deploys new, replacement satellites at high cost—one of the primary drivers of the high cost is the launch costs, which is dependent on the weight and volume of antennas. 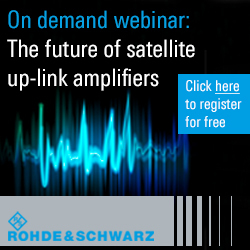 The repurposing of existing, retired antennas from the graveyard represents a potential for significant cost savings. DARPA’s Phoenix program seeks to develop technologies to cooperatively harvest and re-use valuable components from retired, nonworking satellites in GEO and demonstrate the ability to create new space systems at greatly reduced cost. “If this program is successful, space debris becomes space resource,” said DARPA Director, Regina E. Dugan. This concept will require diverse expertise from the international and nontraditional space communities. For example, today’s ground-based robotics systems allow surgeons to perform telesurgery on a patient thousands of miles away, and advanced remote imaging systems used for offshore drilling view the ocean floor thousands of feet underwater. These types of capabilities, if re-engineered for zero gravity, high-vacuum and harsh radiation, could be used in space to allow the repurposing of valuable antennas from retired GEO satellites. To optimally use those repurposed assets, the Phoenix program will develop low-cost, scalable electronics and structural modules that would allow localized control and communication with each other and a master satellite, ala DARPA’s System F6, that together harnesses the repurposed antennas. Phoenix specifically seeks technologies for developing a new class of small “satlets,” or nanosatellites, which can be sent more economically to the GEO region through existing ride-along services with commercial satellite launches and then robotically attached to the antenna of a nonfunctional cooperating satellite to essentially create a new space system. The nanosatellites may leverage the technologies, infrastructure, protocols and architecture developed within the ongoing System F6 program. DARPA will host two upcoming industry days in November 2011 for interested performers.